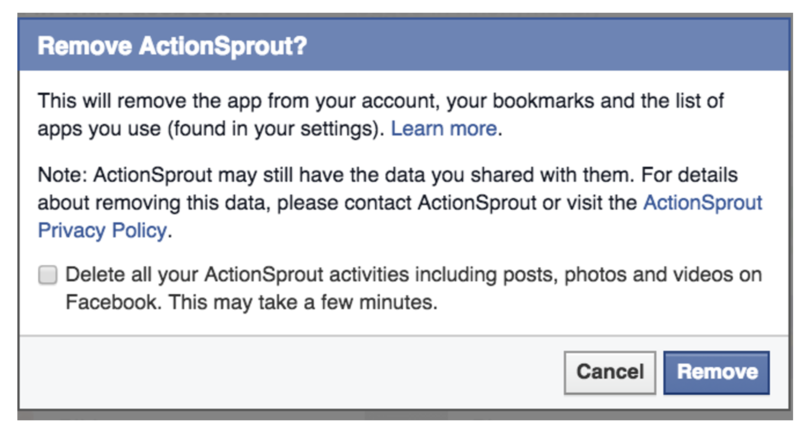 Need to clear your ActionSprout permissions on Facebook? Here the easiest way to do that. That will open a drop-down menu like the one below. From here, you'll want to select Settings. 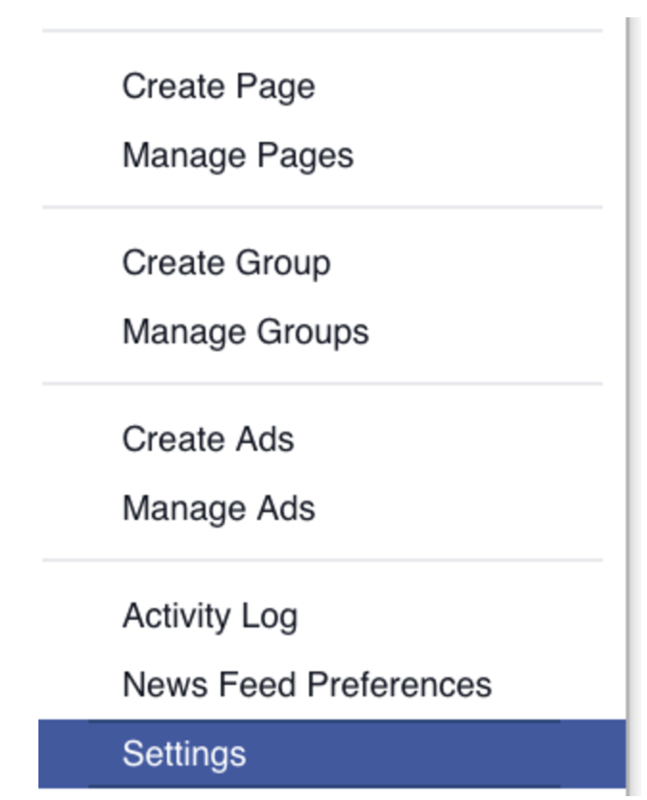 Now look for the ActionSprout logo in your list of Facebook apps. Hover over the app and click the "X" icon to remove permissions. Then you'll confirm your request on the following screen. Please note: Without any permissions the ActionSprout tool set won't work, as it won't be able to access your Facebook account.